What kind of vessel should Gul Almar Daheel command? So I have developed a new character, Gul Almar Da'heel, a prominent member of the Cardassian military and a very famous soldier who actually believes in a code of honor, such as not metaphorically stabbing people in the back. Problem is I need ideas as to what he commands, say in 2370 when he is promoted to Gul. Any ideas? Is it his fist command? Then I'd say something small. A Hideki. Graham Kennedy wrote: Is it his first command? Yes it is. But he would get a new command sometime in 2370. Any ideas as to a date: 2312, 2322, or 2332? Didn't you just say it was in 2370 like three times? 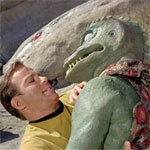 Graham Kennedy wrote: Didn't you just say it was in 2370 like three times? I'm sorry I should have been more specific. Yes when he gets his own command in the Cardassian military. When I asked for 2312, 2322, or 2332, I meant to ask as to what the birth date would be. I apologize I should have been more specific. Hmm, I'm not sure. How old is he when he gets his first command? Graham Kennedy wrote: Hmm, I'm not sure. How old is he when he gets his first command? Then just to pluck a number out of the air entirely at random, I'd hazard a guess that he was born in 2337. Ah. Okay then. That'd mean hed be 33 when he gets his own command in 2370. Oh yes, so it would! I was going to suggest a rubric: determine what age you want your own character to be, subtract that number from 2370, and consider the result as a year of birth. Huh, I wish I had thought of that. It makes a lot more sense than my random number guessing approach.